On having a change of hair style after few hesitations. I decided to go for it and during the hair cut my mother in law suggested the idea of donating my hair since she had heard it somewhere. So I collected the sample and googled the same and found that it is indeed possible. 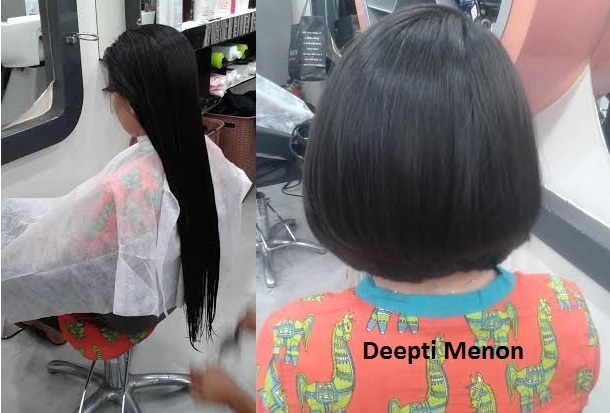 On learning about it I felt great that my hair could be of some use in the help of cancer patients who will definitely need it to boost back their confidence while recuperating. Thus, I would suggest anyone reading this to contribute in such a manner if possible. It is surely a satisfying experience.